It's been a few years (5 I think) since I last did my homework on a GPS for my ride. It is now time for a new GPS so I am interested to hear your recommendations. I prefer a large touch screen with an audio out jack (not required). I'll have to follow this thread, John. I may be looking for a new GPS in the near future myself. 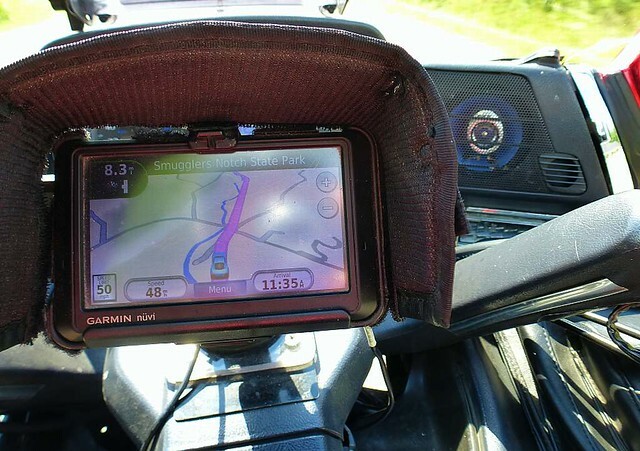 I had to upgrade my Garmin Zumo 550 maps after my computer was wiped clean in order to get a new MapSource program and have had problems with it ever since. Sorry we couldn't hook up when you were in Florida. See ya in Va at the camp-out for sure. I don't think I want another Garmin. Good luck in trying to find a newer GPS that has an Audio Out jack, unless you spend mega bucks! Myself, having a GPS with an Audio Out jack is of utmost importance, as well as having the ability to upload my own custom routes onto it. Everything else is secondary beyond those two points. Half the time you can't see the screen very well (no matter what the size) even with a GlareStomper sun shield on it, due to glare when the sun is shining over your shoulder. My older Garmin Nuvi 765T has these features, plus a lot more and has proven to be very reliable over the past 5 years, enduring all kinds of road/weather conditions imaginable. You can pick up a good used unit for ~$65 off of eBay. I have a 6" Tom Tom 1605. It suctions to the windscreen and rarely falls off, if it does, I have it tethered so it's not going anywhere. I like it for several reasons, #1 is the size of the unit. I have it mounted right in front of me on the windscreen so it's easy to see without having to turn my head at all. It's large so it's easy to read and is loud enough to hear to hear. I don't need a sunshade as I can just till the unit down a little more and can always see it, sun isn't an issue 99% of the time. #2 would be the price of the unit, $169 new, cheaper on EBAY. I also have a 4.5" Tom Tom affixed to the handlebars but sun is an issue, Size is small, my eyes leave the road to long because I can't hear it, I have to look, but it makes a nice spare. It's been wet so many times it aint funny as it's been on my bikes for the past 6 years, and still works good. I currently have a Garmin Nuvi 1450 with lifetime maps that has treated me well (no audio out jack tho). I have the map software and can program my routes on the computer for upload. My current issue is that it's getting a little "buggy", reboots randomly and my trust level is not as good as it used to be. I will probably stick with Garmin just becasue I am familiar with it and like the functionality. I'd like to go to a 6" or 7" screen as well. The Garmin Nuvi 2797 is interesting (7") but again, no audio out jack (if I could get into the case without breaking something I could probably wire in an audio output). Oh JOHN.....do I have the GPS for you!!!! If interested, PM me for price and pics. OK, I just may have found a solution I can get excited about. 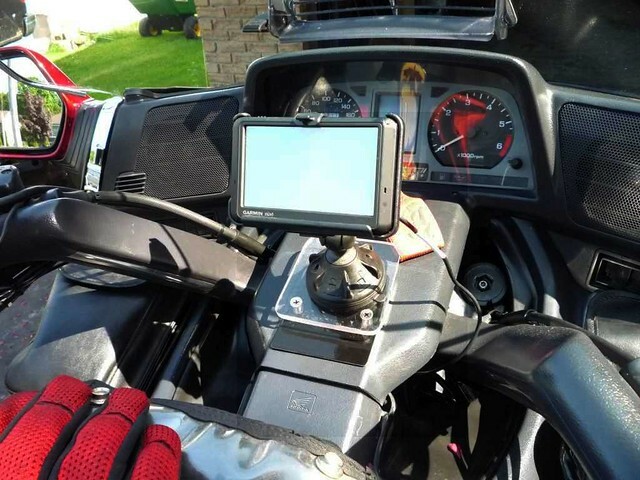 This guy took a Garmin Nuvi 2797 (7" screen), opened up the case and modified it to to work with the Goldwing's headset/microphone. Check it out! I like that one John! 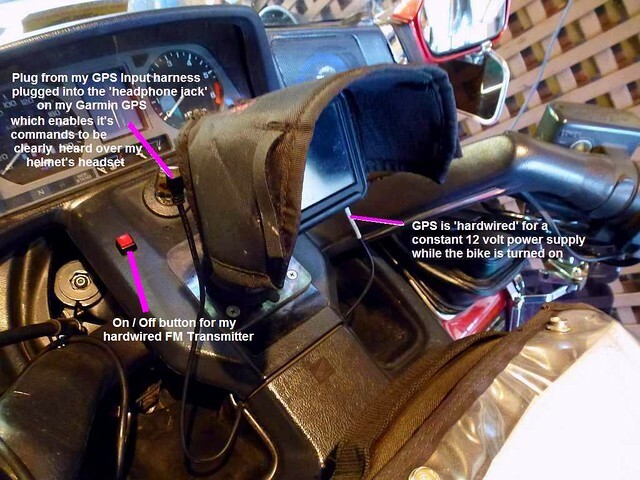 The GPS Mod would seem pretty straight forward but Im not familiar with how you could tie that into the bike! I may follow your lead on this one. I like the idea of voice commands and the "Look Ahead" feature as I would use that the most. My GPS now, I have to stop, look at POI's on my route but invariably it finds a place and sets a route to turn around and go back to get to the place. $900 to install Mono tubes??? I may have found a new sideline!! I like his seal seating tool, Looks familiar! It would appear, (I could have read it wrong), That you would also have to buy the adapter kit to hook it up to the wing. Thanks for the heads up Mike! Im partial to TomTom. It's all I have used and am for the most part familiar with them enough to feel comfortable programing something in while Riding the bike down the road at the same time. I mite have to take another look at them too. the one coming out is touch screen, will follow your ride to go back again and put in your own way you want to go. and if remember right, it will tell you of any twisties nearby. I had a Tom Tom for 24 hours once, took it back for a refund....during my test it took me into a parking lot....I probably didn't give it a fair shake but I knew right away that I didn't care for it. I think there is a lot to be said for the "familiarity" that John talked about. I am very familiar with the Garmin so will probably not be moving away from it any time soon. I have been in contact with Jonathan Jambor at Kennedy Technical Group in Kansas and he has provided the following information. Looks like it will add about $185 to the price of the GPS for a complete and professional looking DIY installation which is not very attractive. Note: it will also void any warranty on the GPS. I was hoping for something less expensive but I really like that 7" screen and all of the options available. 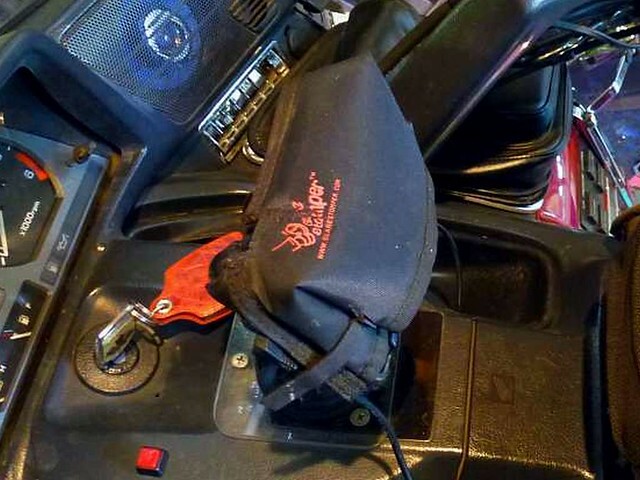 If you prefer not to perform the modification, I can do it for you. To order, give me a call or send me an email. I accept Visa, MasterCard, Discover, PayPal, and your personal or company check. If you want me to do the modification, I will send you specific shipping instructions once the order has been placed. I looked at that yesterday and am still not clear on where everything gets plugged into in the wing. Might be self explanatory once the bike is opened up. Also don't see how the wiring comes out to the GPS unit. I see one of the pigtails on #95258RO assembly is 16" long, but it doesn't appear to be the right connector and is 16" long enough to get you out of the left pocket area (Assuming it connects there) to the GPS?......... I'm thinking of where my GPS is on the wind shield, which I like. Look at this drawing http://www.cellset.com/95590R0assydwg.pdf, the 6" part goes into the GPS (it has a gromet) and the 6' (6 foot) part goes from that to the Kennedy Interface Module that will be mounted under the left side pocket. I'm still looking at the remaining conncections. I just ordered a refurbished unit, ram mount locking case/cradle, screen protectors, & 2 sun shades. I will be ordering the Kennedy stuff listed above in a few minutes.I also got a weatherproof hardcase ram mount for my Galaxy Note 3 phone. Thanks, That make that part a little more understandable. Hey John, try this...I think it might be a little clearer for all of the connections....A, B & C are the 3 required items mentioned above, I marked them accordingly. Does anyone have a link to that new bike Tom Tom unit??? I didn't see a price on it Mike, What was it? Also didn't see a screen size.